Hard times means sacrifice and usually what we sacrifice are our hobbies and leisure activities like going to the movies. 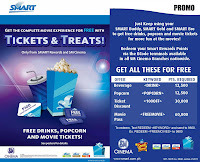 Thanks to Smart Communications and their latest promo, Smart Rewards, you can watch all you want, when you want to. You can find out how Smart Rewards easily works after the jump. 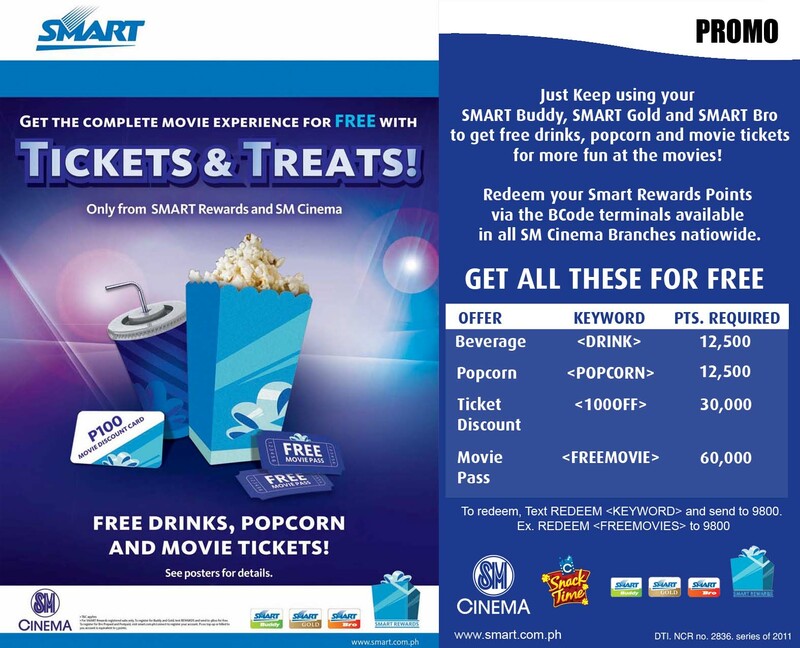 The team-up of Smart Communications and SM Cinemas has a hi-tech and cutting-edge solution to redeeming your movie treats. No thanks to the aptly-named bCODE (for barcode) technology. Smart Rewards users have to do is text POINTS to 9800. A barcode will be sent back to the user via SMS. The user then scans the code at the bCODE terminal (located at the lobby of any SM Cinema naitonwide). A coupon will be dispensed which can be traded to a movie pass (if you want to watch a movie another day) or an actual movie ticket. Amazing right? This is definitely a first in the country. Even better, Smart Rewards points can also be exchanged for food at SM Cinema Snack Time. Not only do you get a free movie, you also get free food to boot! Text “REWARDS” to 9800 for FREE to start getting free big screen treats from Smart Rewards. This is open to all Smart Buddy, Smart Gold and Smart Bro Subscribers.